Success with digital transformation relies not just on tools and technology – but on the ability of the organization to create more value through the redesign of critical, customer touching, business processes. Digital transformation is the fundamental redesign of business activities, processes, and models by leveraging a mix of digital technologies which includes; but is not limited to, social, mobile, analytics and cloud (SMAC) to create more value for shareholders. Yet, according to Gartner, “insufficient business process management (BPM) maturity will prevent 80 percent of organizations from achieving the desired business outcomes from their digital business strategies,” and “deficits in BPM maturity prevent change agents (individuals who lead changes) from delivering game-changing business outcomes from digital business initiatives." Take advantage of our certificate programs and join an elite group of practitioners who have the skills to successfully apply business process concepts to best take advantage of the power of digital transformation. Choose from 30 courses organized into seven professional certificates. You can register for individual courses or choose a certificate package, which is a bundle of four or eight courses at a significant savings. We've developed learning paths that help you map your career goals to our certificates. Use our Learning Paths Guide to find the path and courses that are right for you or schedule a free consultation with one of our training advisors. Empower yourself with the disciplines and methodologies you need to transform your organization into an agile enterprise. With BPM training, you and your group will have a common language and the skills necessary to take on the challenging projects you face every day. 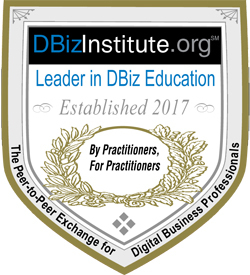 DBizInstitute.org offers many related certificates so you can earn credentials in more than one specialty, making you more valuable and marketable in your field. According to a recent survey, individuals who have earned a certificate of training have better promotion opportunities and earn a higher salary than colleagues who have not earned a similar certificate. Save a bundle over a-la-carte pricing with flexible certificate packages. Packages include course credits and complimentary professional membership. All courses are available in person, on demand and live online. 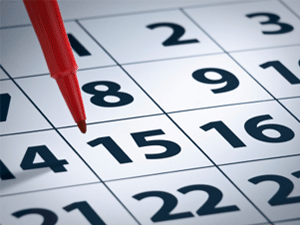 Our BrainStorm Events offer courses in person four times each year at our training events. On demand courses are available 24/7/365. Learn more about the Live Online program. Accelerate learning within your organization by training your team with the same content at the same time. Maximize the impact of your group training program through custom content designed around your processes, vocabulary, scenarios, and case studies. Group training is available for groups of six or more people. Learn more. There are many ways to save for individuals and groups. Now you're ready to start viewing courses, we suggest you start with the Interactive Learning Paths Guide. It's organized in a way to help you select courses that map to your career goals.